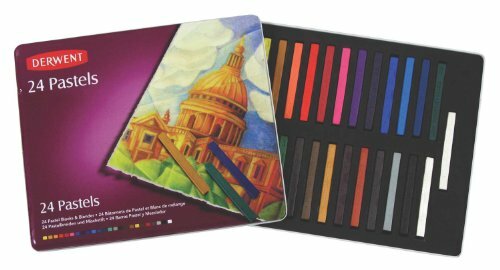 Derwent Pastels are the ideal medium for producing broad strokes when used on their flat side or end or fine lines when used on their edge. 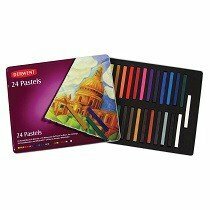 They’re every bit as smooth as their pastel pencil counterparts in a chunky block format with a semihard texture. 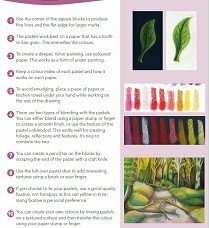 They have a slightly dusty quality, which allows for easy blending and smudging to create soft, expressive effects on paper. 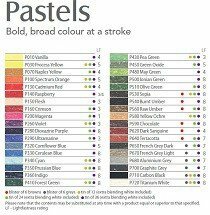 Each pastel is 2.875-in. L x .25-in. W. And, because they’re 100% usable, they’re economical, too. The bonus blending white allows for effortless blending without affecting color density or shade. 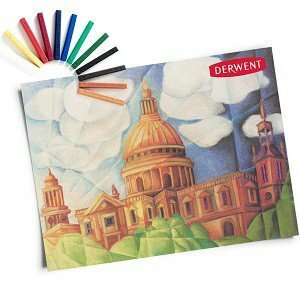 Since 1832, Derwent has been inspring amateur and professional artists with an exceptional range of fine art materials. Holds up to 30 of your favorite drawing pencils.